Bogged down by the recent showers? 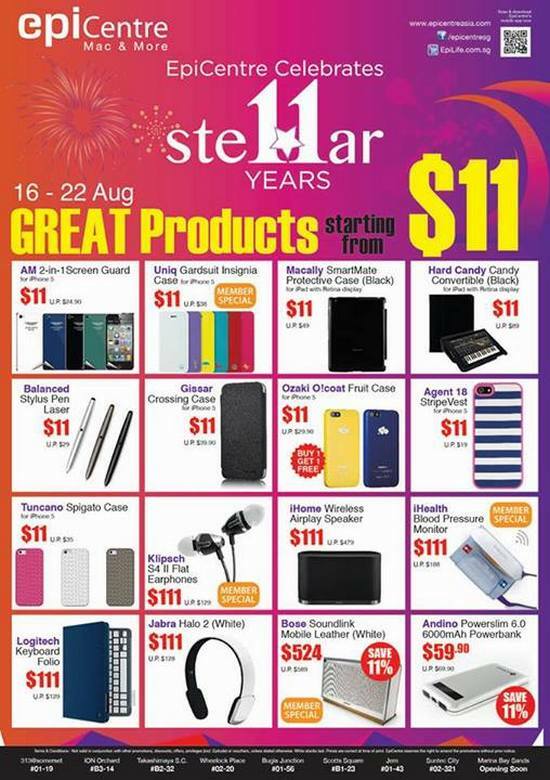 What about some ste11ar deals to lighten up your mood? iHome Wireless Airplay Speaker may just be one of your best bets! Try syncing your way wirelessly in any space within your home for a better tonality experience. Why $479 when you can purchase it @ $111 now ?! So hurry, pop over to any of our 9 EpiCentre stores for a good buy! *Deals starts from 16 to 22 August.